Affiliate marketing exists as a sizeable industry that has become one of the main sources of online income for a wide range of blogging professionals. As online businesses become more involved in affiliate marketing, the moneymaking opportunities becoming available to bloggers are increasing. The majority of affiliate marketers tend to use affiliate marketing networks to explore other suggestions for their blogs. Although a small cut of the fees will be taken by these platforms, overall their impact on the affiliate marketing climate is very positive. 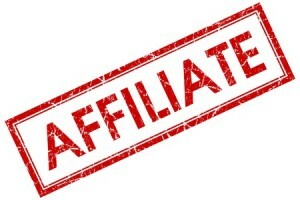 Listed are five affiliate networks worth considering in 2019. One of the biggest affiliate networks is the ShareSale platform. It has around 4,000 listed merchants and over 1,000 are exclusive to them. A lot of data is published by ShareSale involving each offer they run. Examples of data include the average commissions, average sale amounts, earnings per Click and reversal rates. These figures are very helpful in campaign assessment. Some of the advantages of ShareSale are its large partner network, the ease of comparing offers, and the quick payment cycle. AWIN is a German founded network that claims to work with over 13,000 functioning advertisers and around 100,000 affiliates. The merchants of AWIN mainly come from Europe. Its activity can currently be seen in over 11 countries. Some advantages of AWIN are: it pays out twice monthly; it has real-time reports; publishers and advertiser vetting is intense; the dashboard is easy to use; there are many existing plugins; and there are hundreds of staff globally. Some disadvantages are: it requires a small fee to sign-up; unapproved accounts won’t get this fee returned; and every program needs to have a new application. Maxbounty is somewhat new to the affiliate world. It is solely a CPA (Cost Per Action/Acquisition) corporation that does not deal with advertisement banners or customer links that the blogger will choose to place on their website. Pros of Maxbounty include: its great customer service; generous bonuses; weekly payments that can be paid out in a way that suits you; its impressive work history; its easy-to-use dashboard. Cons are that there have been negative experiences reported by some affiliates, accounts can be terminated without an explanation, and approval can take a while. CJ Affiliate is thought to be one of the largest online affiliate platforms. Many major retailers have their affiliate programs on this network. Advantages include: the large partner network; it is reliable with payments; the reporting options are powerful. A disadvantage is that the reporting capabilities can be difficult for beginners. Customer support is also limited. Another large affiliate marketing network is Flexoffers. This company will pay the affiliate a lot quicker than others in the industry and has over 10 years of experience in the area. They provide a solid range of features and tools that will help with your campaigns. Pros of this network are its generosity with its revenue sharing, you get a dedicated affiliate manager and a vast amount of affiliate programs. However, PayPal is the only payment option for people based outside of the U.S.
Making sure you are aware of the advantages and disadvantages of the affiliate network you are considering is extremely important before you make your decision. This way you can choose the best network based on your location, product and experience.